Before he turned heads as one of the NHL’s most electrifying young talents, Boeser, currently in his first full big-league season with the Vancouver Canucks, was doing the same in the U.S. collegiate ranks. 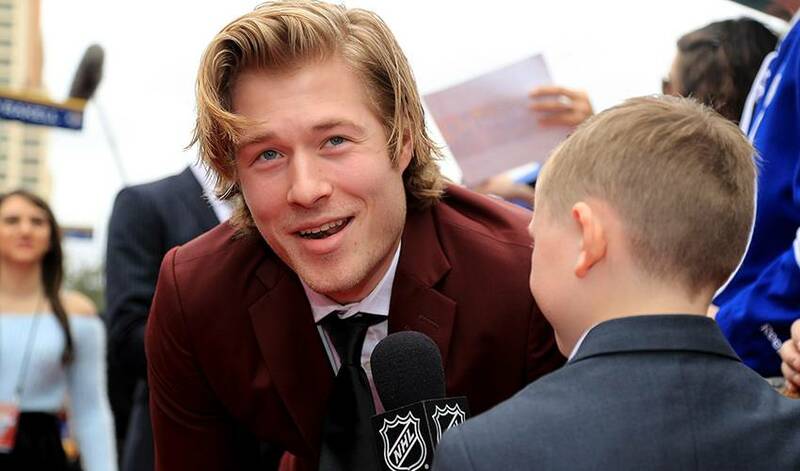 Jackson, who was elevated to associate head coach with North Dakota in 2015 after nine seasons as an assistant coach for his alma mater, was impressed by Boeser the moment he met the Minnesota native. A good kid that knew how to play the game – and play it very well. In 2015-16, Boeser netted 27 goals and 60 points, the same season in which he helped North Dakota win the NCAA Division 1 National Championship. He missed two months of the 2016-17 campaign with a wrist injury, but still managed to record 34 points in 32 games. His collegiate career included All-American honours, along with a lengthy list of other achievements: NCHC Rookie of the Year and Academic All-Conference Team, All-NCHC First Team and All-NCHC Rookie Team, the league’s conference and overall scoring titles and University of North Dakota’s Male Freshman of the Year. It wasn’t just game-winning goals and precision passing that made Boeser a standout in crucial collegiate games. The NHL world has found all of that out. Selected 23rd overall by the Canucks in 2015, Boeser scored four goals in nine games with Vancouver in 2016-17. He signed his first NHL contract on March 25, 2017 and lit the lamp later that day in a 4-2 victory in Minnesota. Things have only gotten better for Boeser since then. The right wing became the first Vancouver rookie to net a hat trick since Trevor Linden did on December 20, 1990, when Boeser scored three goals in a 4-2 win against the Pittsburgh Penguins on November 4, 2017. He reached the 20-goal plateau two days before Christmas and scored 25 goals in his first 44 NHL games, 11 games faster than Hockey Hall of Famer Pavel Bure. Add the recent NHL All-Star Game target-shooting crown and MVP honours (Boeser became the first rookie to win the award since Mario Lemieux in 1985) into the equation and it all makes for a sensational start to his big-league life. Just don’t expect the 20-year-old to rest on his laurels. And a guy who hasn’t forgotten his alma mater or former coaches.